Alicia Sutton: Welcome. 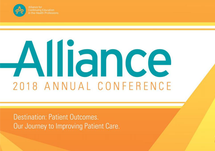 We are broadcasting from the Alliance for Continuing Education in the Health Professions at their annual meeting in Orlando, Florida, and I have guests with me today who are going to talk about something very important when they present here; achieving patient satisfaction through culturally sensitive communication. That's really very important. Please introduce yourselves and let us know your vantage point from your own cultural backgrounds. Samar Aboulsoud: I am Samar Aboulsoud. I am a physician by training in internal medicine, Associate Professor in Cairo University and in Qatar University Medical School. I'm also the Chief Executive Office for the Qatar Council for Health Care Professionals and regulatory authority for Health Care Professionals in the state of Qatar. I am glad I am with you today. Alicia Sutton: Thank you for joining us. Miriam Uhlmann: I'm Miriam Uhlmann. I'm from Switzerland. I'm working for the AO Foundation which is a global organization. We do education for orthopedics, spine, maxillofacial and veterinarian surgeons. We have been seeing and working with a lot of different cultures. This is one of the reasons why we started to deepen our knowledge and our skills in regard to cultural competence and awareness. Alicia Sutton: Excellent. So, give us kind of a big picture here on cultural competency. Are we getting better at it? Samar Aboulsoud: That's a very difficult question to answer really. We are definitely improving and the understanding of cultural sensitivity issues and cultural competence at the level of health care teams or health care providers as well as patients has definitely changed. Thanks to lots of research and studies and thanks to the interest of the healthcare systems, in general, to achieve satisfaction and patient satisfaction in different ways. Not only in deepening the medical knowledge and the clinical skills of those who provide care but also other soft skills including the cultural competence and cultural sensitivity. So, I'm Egyptian and I work in Qatar. I have been privileged to work in other countries as well in the West. I think I've seen over the years lots of change and lots of observation of the importance of cultural awareness and professionals spending more time improving their cultural competence, ensuring that they are doing the right thing with their patients. We still need to do more. We still need to have a better understanding that it is not bits and pieces it is more like a holistic approach and more like a full picture that should be seen. It's not a stereotyping kind of thing. It's understanding the different cultures of patients for the sake of providing the best for them and ensuring compliance as far as treatment options and definitely for patient outcomes. Alicia Sutton: Miriam, in your organization are you focusing on the behaviors of the practitioner and improving that side? Obviously, patients are the beneficiary of that, but are you focusing on kind of the models of trying to find a way to instill that cultural competency? Miriam Uhlmann: Actually, we do different things since being a global organization gives you challenges anyways. When we develop education, we always include physicians from all different regions. It's always a question between globalization and localization like how far do we go and what to consider. We started a few years ago with our network because they come from so many different cultures, activity with more pragmatic approaches. We have done some workshops involving physicians coming from all different cultures. What we found is that with the models the difficulties are usually coming from one culture. Most of the models are very western-based, which we discussed before, it's a problem already in the Middle East. Even if you would think that they are very westernized, there are many differences. So, I think that is one of the issues with the models. Samar Aboulsoud: Briefly coming back to your question before, if we do better I think we do. If you go back to research and education, we find there is a lot of research around about communication, cultural sensitivity, and also patient research so I think we're going in the right direction. We need to stay pragmatic, I think, at least from my experience. There might be some models that would work, but I think the models somehow would need to be developed by multicultural groups otherwise they won't work. Alicia Sutton: That makes sense. In your environment, are you seeing different models being applied or where that is evolving into? Samar Aboulsoud: We have a very interesting thing in Qatar. Qatar is a small country, as you know, and we depend hugely on expats as a workforce in health care and other areas as well. Speaking about health care, we have physicians, nurses, dentists, and pharmacists coming from all over the world with their different models of dealing with patients when it comes to cultural understanding and the same applies for patients which makes it even more complicated. So, Qatar is mainly expats. So, they are the huge population compared to the Qatar citizens. This is a challenge for us and this made us in the Qatar Council for Health Care Professionals which is the regulatory authority, as I said, and this is responsible of licensing medical education, the fitness of practice of healthcare practitioners. This made us the side that we do need to do more work in ensuring healthcare professionals are culturally competent especially when they are first introduced to the workforce in Qatar or the workplace. We are currently working on a project of developing a cultural competence model. This model aims at ensuring the competence of healthcare professionals at various levels of cultural competencies and sensitivity and we are thinking to have this as an introductory model and industry introductory model for professionals when they come to join the sector and get licensed the first time. Also, as a continuous professional development model available for health care professionals who want to improve their skills in cultural competence any time. It's also essential for them as we now have the continuous professional development as a mandatory requirement for licensing, maintenance and renewal as well. It's something that would send the message and emphasize the importance of cultural competence. When you have the regulator telling professionals that you need to do more work and we are supporting this as regulators, I think it's a very strong message. Alicia Sutton: I think so too. It's clearly improving to have that as part of the CPD curriculum. So, you have an hour-long presentation and are there some key takeaways you want to leave with us that you are hoping to impart to your participants here? Miriam Uhlmann: I think it's for everyone to get awareness. That that's an important topic. It can be embedded in every education activity you do, and it actually starts with ourself and how we behave with different people, with different cultures, genders, races, and religions. I think that is one of the important messages and I think that's the strength of the three of us. We are missing one of our colleagues, Chitra. She is originally from India. She has lived in the U.S. for many years and we work so well together, so it's possible. I think that's one of the important messages. Alicia Sutton: So, it comes from inside first doesn't it? Take a look inside first before we go out. Samar Aboulsoud: I think one important message is that culture is not only religion, or it's not only ethnicity, it's not only the language we speak, it's not your color, it's not your beliefs, it's all of the above. As I said, it's a holistic understanding of what would really affect your interaction and your understanding of different things in life. Have you accepted what you are offered by the health care provider? That's the only way you can really converse and persuade and gain the respect, confidence, and trust of your patients. If your really approach them holistically, you really try to reach out to them. Culture is like the iceberg. So, do not really look at the top and forget what's underneath. It's really very important to dig deep inside and understand for each patient it is not the same. Alicia Sutton: Excellent. Well, thank you. You both have provided some great insight into this. We appreciate you stopping by. Alicia Sutton: We have been broadcasting from the Alliance for Continuing Education in Health Professions, and we're glad you could join us. Drs. Aboulsoud & Uhlmann enlighten healthcare teams on how to achieve patient satisfaction through cultural competence and cultural awareness. 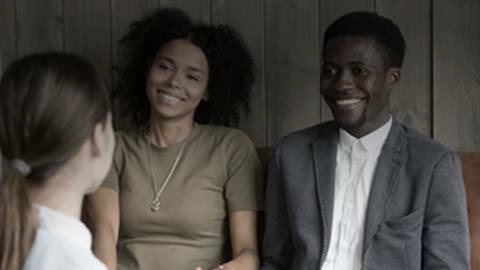 Due to research and studies, health care teams are improving and understanding cultural sensitivity issues and cultural competence. However, we still have much to learn. At the Alliance for Continuing Education in Healthcare Professions 2018 annual meeting, host Alicia Sutton interviewed Samar Aboulsoud, MD and Miriam Uhlmann, PhD about their presentation "A Means to an End: Achieving Patient Satisfaction Through Culturally Sensitive Communication". In this discussion, Drs. 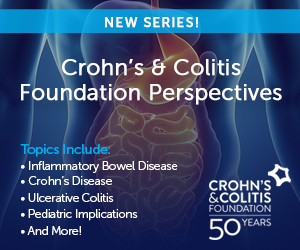 Aboulsoud and Uhlmann discuss their personal and professional experience with educating health care teams to deepen the medical knowledge and clinical skills of those who provide holistic approaches for patient care. Furthermore, it will challenge clinician’s understanding of what affects their interactions and understandings that can impact patient care, compliance, and outcomes.